Clay Paky's stand at PLASA London featured a "bee-eye" design concept and was located in the "Ambersphere village". Ambersphere Solutions, the sole distributor of Clay Paky and MA Lighting equipment in the United Kingdom and Ireland, supervised the arrangement of the stand, in coordination with Clay Paky, to give the exhibition space a strong impressive corporate image. About the new ExCel exhibition centre, Pio Nahum, Clay Paky commercial and marketing manager, says: "The location is beautiful and modern, suitable to our needs, as exhibitors. In addition for the first time we were able to organize the Knight of Illumination Awards in the same location of the show, with the many benefits in terms of logistics, for us, and in terms of accessibility for the attendees. Our booth, inside the '"Ambersphere village", was very popular, thanks in particular to our new B-EYE fixture. Perhaps the only drawback is its distance from central London; some visitors might be discouraged to reach the fair every day, and they would come preferably on Sunday or Monday. The organisers might want to consider to reduce the exhibition days to three days only instead of the traditional four days." This year Clay Paky marked its presence at PLASA with some highly innovative products. 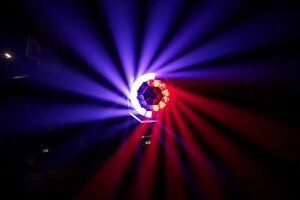 ALEDA B-EYE is truly innovative for its unique lighting effects; its unmatched versatility makes it a fantastic creative tool. Firstly it an excellent wash-light, with beautiful colours and an impressive 6° to 70° zoom. 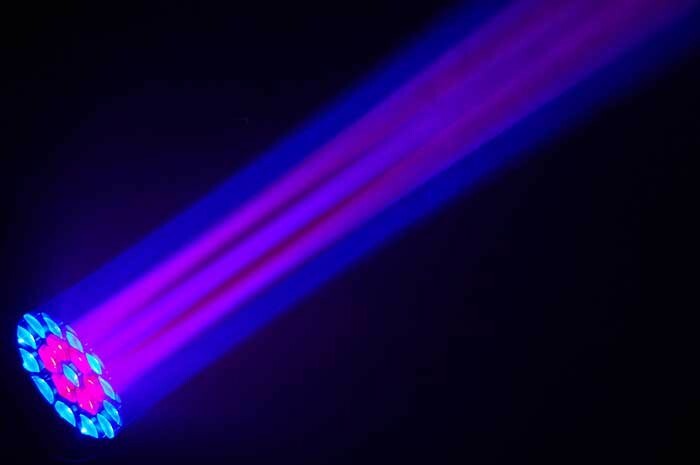 The beam however can be closed further down to as little as 4°, switching the light from wash diffusion into a parallel beam. 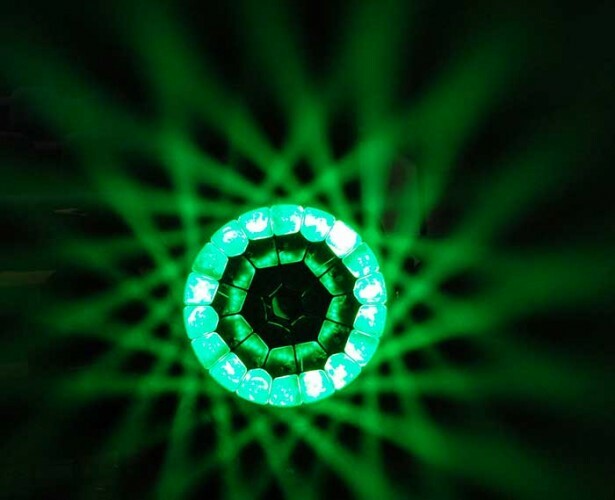 B-EYE thus becomes a beam-light for amazing aerial effects. It generates a pulsating bundle of individually controllable micro-beams, each with its own colours and shades. ALEDA B-EYE finally introduces a totally unseen feature: the front lens can be rotated and many little beams are created, that can be unfolded or closed like petals. 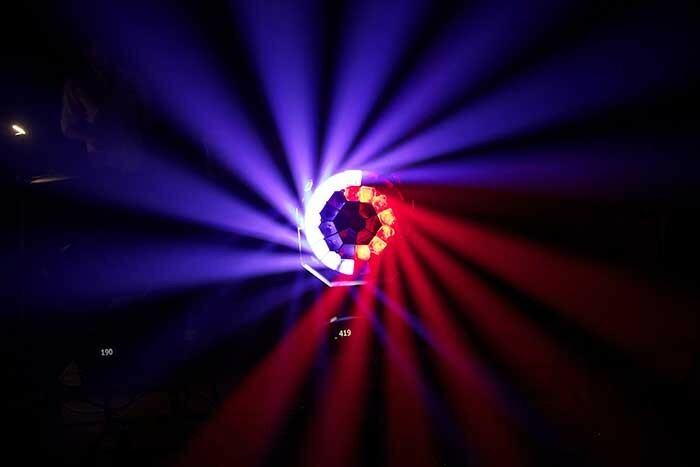 Adding colours and dynamic patterns, B-EYE turns into a unique effect light, generating countless kaleidoscopic projections, as no other LED fixture has ever done. The PLASA Awards for Innovation recognise products that advance the industry by demonstrating a new style of thinking, improving technical practice or taking a key step forward in terms of safety. During the show's opening two days, 45 new products were judged "live" by an independent panel of expert judges who toured the show floor to view each product presentation. 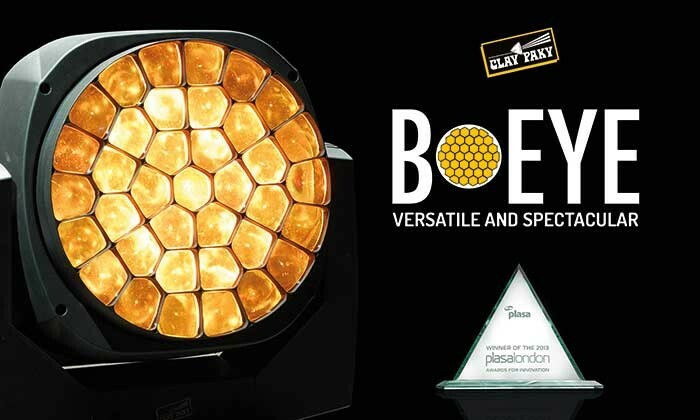 The Clay Paky A.leda B-Eye received a 2013 PLASA Award for innovation. Pio Nahum, Clay Paky’s chief commercial officer, was the first to take the stage in order of appearance and receive the award. He thanked all lighting industry professionals for continuing to recognize the quality of Clay Paky products and the company’s efforts to offer innovation without compromise. The judges said: "The B-EYE has a 'wow' factor. It's an innovative look and a modern retake on a classic effect. It's also a fully-functional and versatile luminaire." For those applications where a simpler, yet powerful washlight is required, Clay Paky developed a new fixture named A.LEDA CC (Colour Changer), featuring R-G-B-White colour mixing. When colour changing is not required, the new Clay Paky A.LEDA TW (Tuneable White) can be used, providing tuneable colour temperature through additive mixing, ranging from 2600 to 7500 K. Finally, for the simplest applications, Clay Paky has created A.LEDA W (White), a moving head LED flood-light generating a fixed 7500 K white light. Sharpy Wash 330 is an extraordinarily compact, lightweight 330W washlight, with the luminous efficiency and optical performance of a 1000W fixture; but it requires half the power, it features one third of the weight, it is much smaller, and it is as fast as the world-famous Sharpy. Despite its small size Sharpy Wash includes all functions needed by a top category washlight: CMY, colour wheel, CTO, 6°-48° zoom, frost and beam shaper. It fulfills the dream of any LD: more lighting points on the rig without increasing power consumption, equipment weight and costs. Five adjectives help describe the fixture: small, powerful, versatile, cost-effective and cutting-edge. Clay Paky Sharpy Wash 330 received a Honourable mention by the judges of the PLASA Awards for Innovation "to represent impressive advancements in the state-of-the-art of entertainment lighting". The sixth Knight of Illumination Awards (KOI), held on October 6 at London ExCel's Platinum Suite, saw lighting and video professionals enjoy a glittering night of celebration and acknowledgement of the exceptional creative talent in their industry. The ever popular awards are organized by the Society of Television & Lighting Design (STLD), the Association of Lighting Designers (ALD), Clay Paky and Ambersphere Solutions, and generously sponsored by Chroma-Q, Hawthorn, MA Lighting, Osram, Robert Juliat and XL Video. They provide public recognition for outstanding achievements in touring, television and theatre lighting and video design. The sparkling ceremony was hosted by Andy Collins and saw over 300 lighting and video professionals from the worlds of TV, theatre, concert touring and events come together to celebrate the diverse range of creative talent in production design today. (Go to Event News for a list of winners).